This site provides the citizens of Cushing with various sources of information. 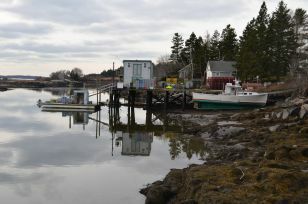 We have links to the Cushing Coastal Water Ordinance, a Mooring Permit Application and the Harbor Committee Proceedings. We have added a new online mooring application process. The 'Mooring Application' tab will allow boaters to apply for new moorings or submit an application with updated information on their existing mooring. There is also a 'Mooring Listing' tab for viewing all mooring records and mapping specific moorings by name selection. In addition we have added an e-mail 'contact' tab so web users may e-mail the harbormaster. Please observe all regulatory buoys! !